The Breathe Easy blend is great for relieving congestion and clearing sinuses when cold and flu season strikes. This Breathe Easy blend is mildly stimulating and may keep poor sleepers awake if used before going to bed. If this is the case, we suggest using this blend during the day and lavender oil by itself at night. Our favorite way to use this blend is in a steam inhalation. Add 2-3 drops to a bowl of hot water (not boiling), cover your head with a towel, close your eyes and take in several deep breaths. You can also use this blend added to any carrier oil (2 drops per teaspoon) for a soothing massage, or in a warm bath (2 to 4 drops diluted in a carrier). Breathe Easy is a blend of pure Essential Oils of Eucalyptus, Lavender and Peppermint. Disclaimer: The information provided here is for educational purposes only, and not intended to treat, prescribe, cure, or diagnose any disease or condition. This information is not intended as a substitute for consulting with your physician or other healthcare provider. Dreaming Earth Botanicals is not responsible for any adverse effects or consequences resulting from the use of any of the suggestions, preparations, or procedures discussed. All matters pertaining to your physical health should be supervised by a health care professional. 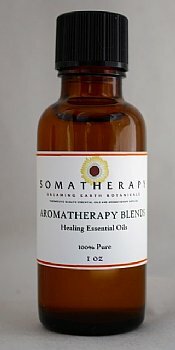 Keep all aromatherapy products out of reach of children. Review: A perfect blend! This oil is one of the greatest blends to keep on hand.